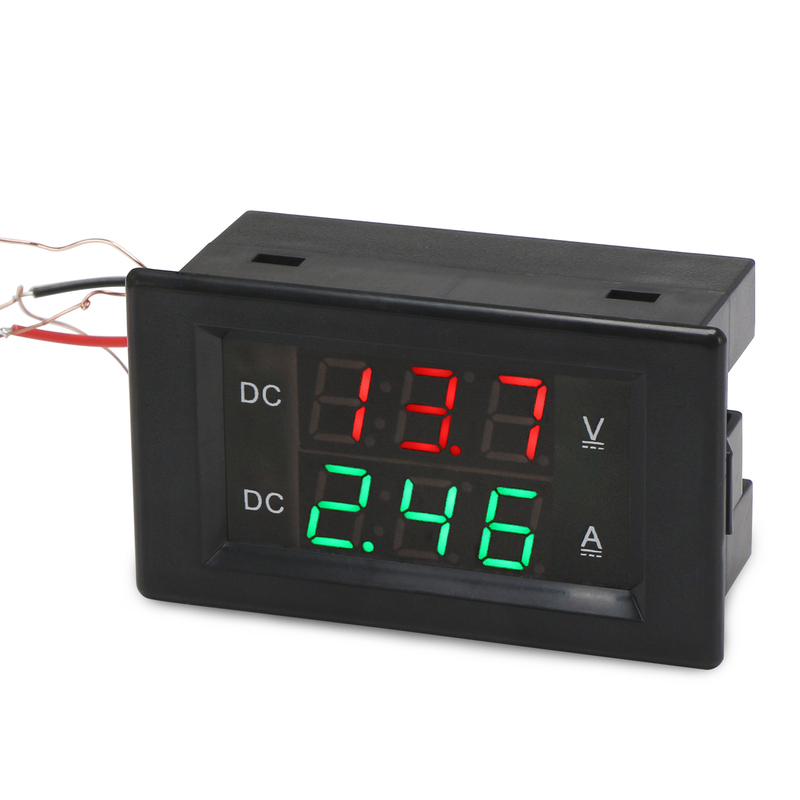 It is a Digital Meter/2in1 Digital Voltmeter Ammeter, Voltage Measuring Range: DC 0~600V, Current Measuring Range: 0.0~50.0A, It has small size, high efficiency, long term stable and reliable quality,easy installation and use. 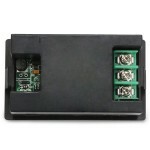 Suitable for monitoring storage battery, DC adjustable power supply, or voltage and current changing state of other device. Power Supply Voltage (non-isolated meter): DC 3.5~30V (wide range); Note: the max input voltage can't exceed 30V, or the meter will burn. 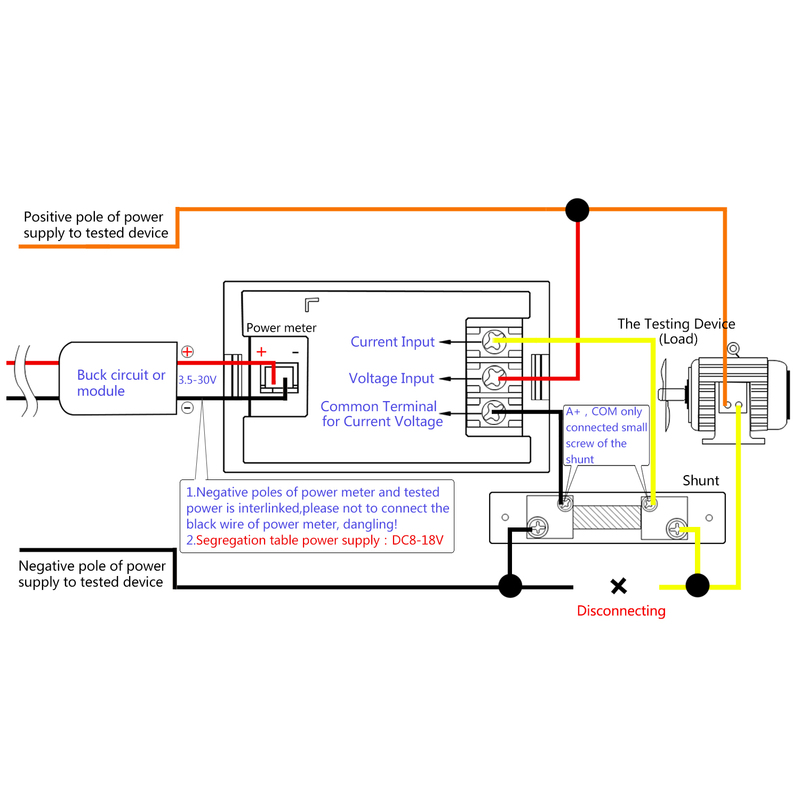 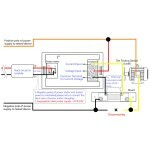 Note: If the meter is just used as voltmeter, it is suggested that the yellow wire and black wire are connected together. 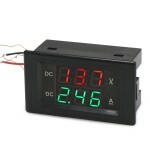 With shell, the meter is safe, reliable and dustproof; it is small and can display voltage and current at the same tiem. 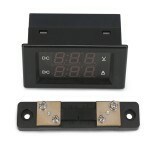 This meter adopts common-ground design that earth wire of measuring terminal is interlinked with the earth wire of power supply (except the isolated meter). 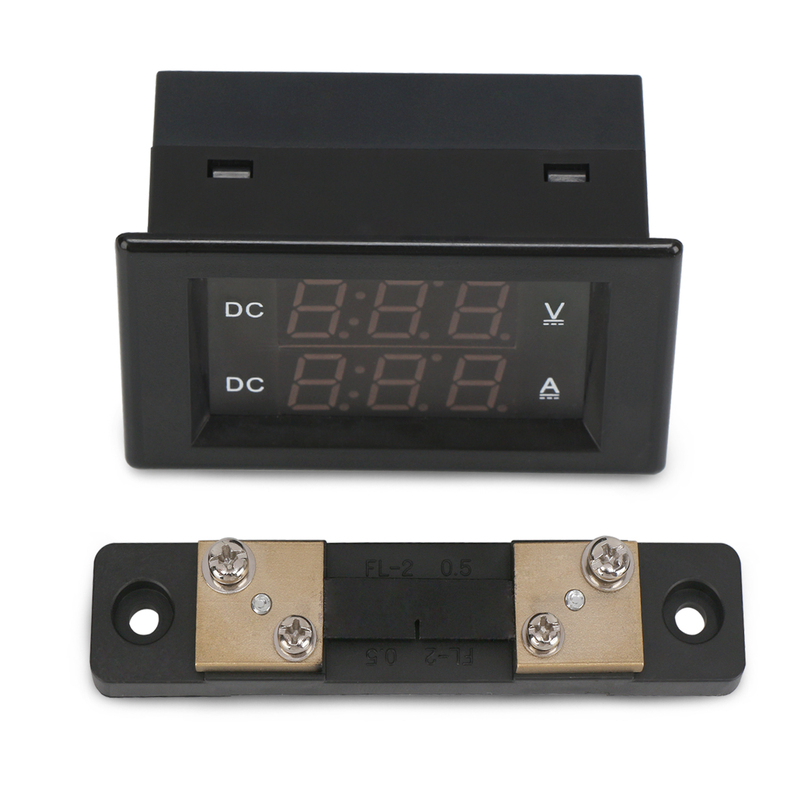 It has voltage calibration potentiometer and current calibration potentiometer, if there is an error, you can adjust them by yourself. 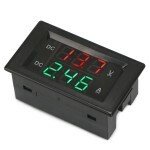 This voltage current meter adopts 0.39" LED display, voltage shows red and current shows green; the decimal point can move automatically. 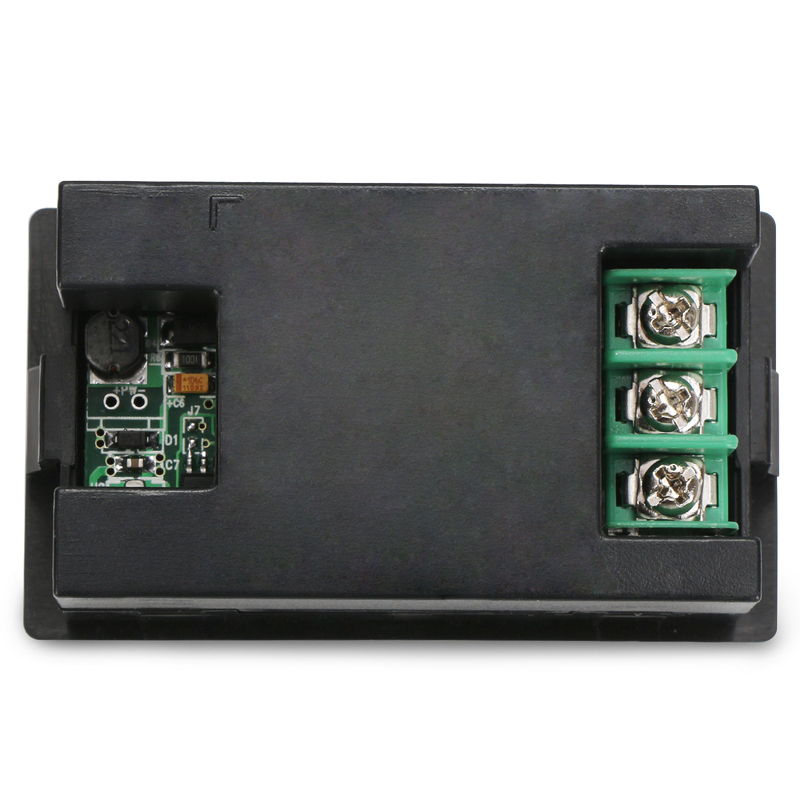 With strong anti-interference capability, it can quickly display refresh rate; with exquisite SMT technology, it has good consistency. 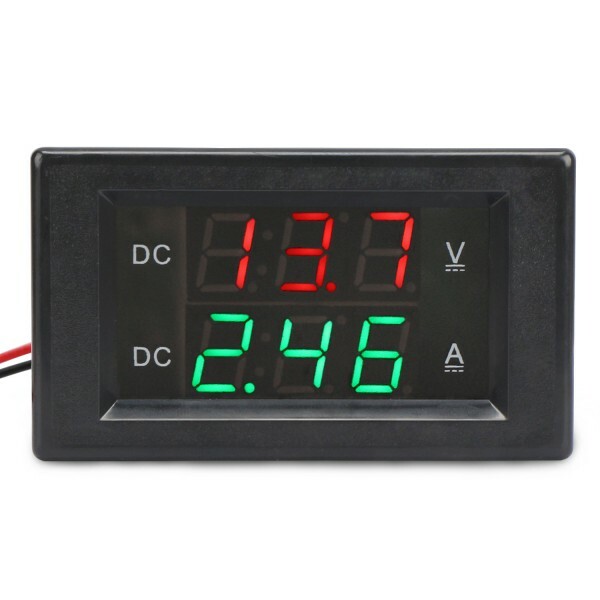 It has wide power supply range of DC 3.5-30V (except the isolated meter), and it will not burn if the power supply is connected reversely. 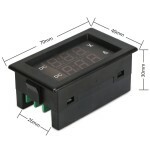 This meter is provided with 5 wires which are easy to connect, besides, it has wide application, that it can be applied to monitoring voltage of storage battery, mastering voltage state of storage battery, and measuring voltage and current of other devices.